Country Montessori School prides itself with the longevity of its teachers and staff. The average tenure is ten years. The school strongly supports staff development and promoting from within. A majority of the teaching staff has been sponsored by the school to obtain their Montessori Credentials. The internal community is a very collaborative and cohesive team who share their passion for the Montessori philosophy. 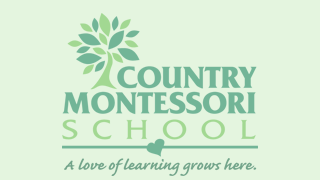 Ms. Corrales has worked at Country Montessori School since 1989 at the inception of the school. She has worked as an Early Childhood teacher and since 2008 Ms. Corrales has held the position of Head of School. She holds an NCME (AMS) Early Childhood (Preschool and Kindergarten) Montessori Teaching Credential and a BS in Human Services. Both of her daughters went through the entire program. Mr. Rose has joined the CMS staff this 2018-19 school year. He is the Director Of Admissions and Marketing. He holds a BA in Communication and an MBA in Healthcare Administration. Mr. Rose has extensive experience in admissions and enrollment, and is excited about the opportunity to contribute to CMS. Mr. Bolanos has joined the CMS staff this 2017-18 school year. He is the Administrative and Development Coordinator. He holds a BA in English Literature and an MA in English Literature. Mr. Bolanos has extensive experience as a Program Director as well as a Site Supervisor. He is passionate about learning, education and his family. Ms. To is part of the administrative team in the position of Bookkeeper/Business Manager. She holds a BS in Business Administration and Accounting. She comes with years of experience and enthusiasm. Ms. Osterberg has worked at CMS since 2001. She is an Early Childhood teacher in the Ladybug classroom. Ms. Osterberg holds a NCME (AMS) Early Childhood (Preschool and Kindergarten) Montessori Teaching Credential. Her youngest son attended CMS and her grandchild attended the school. Ms. Osterberg is very excited to see her returning students and to welcome new Ladybugs to the classroom community. The Ladybugs are beginning with a classroom size of 24. 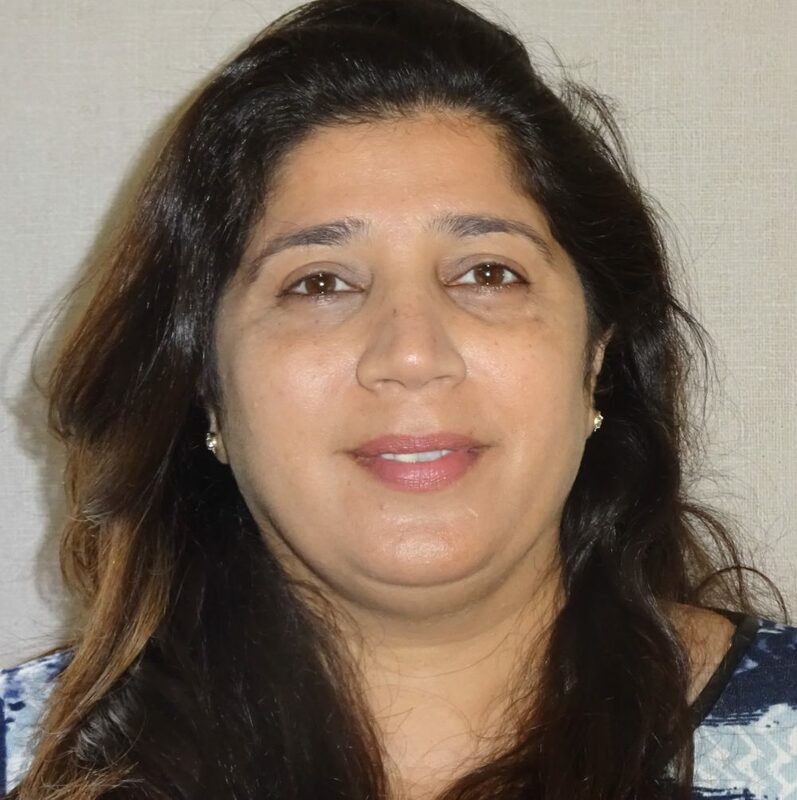 Ms. Khan, our long term substitute at CMS since 2015, has joined Ladybugs. Ms. Khan has been a substitute teacher at CMS since 2015. She has a BA in Commerce. Ms. Khan owned her own daycare and has worked in childcare in many different places. She holds an AMS Early Childhood 3-6 Teaching Credential and has worked in all classrooms for several years. Her younger daughter attended a Montessori School. Ms. Salas has been with Country Montessori School since 2014. She is an Early Childhood teacher in the Ladybugs classroom. She is a native Spanish speaker. Ms. Salas holds a MA in Public Health and a BA in Communications. Both her daughters attend CMS. Beginning on December 3, 2018 Ms Salas will permanently be joining Ms. Osterberg as her Co-Teacher. Ms. West has worked at CMS since 1994. She is an Early Childhood teacher in the Bumblebee classroom. Ms. West holds an NCME (AMS) Early Childhood (Preschool and Kindergarten) Montessori Teaching Credential. Both her daughters and her son attend CMS. Ms. West is very excited to see her returning students and to welcome new Bumblebees to the beehive. Ms. Swaine joined CMS in 2016. She is the classroom assistant in the Bumblebee classroom. She holds a Bachelors degree in Special Education and a multi-subject credential in K-8 teaching. Her son attends CMS. Ms. Titus joined CMS in 2017. She is an Early Childhood teacher in the Bumblebee classroom. She has a Child Development degree and an Early Childhood AMS Montessori teaching credential. She has been working in the Montessori field for three years. Ms. Bohn has worked at CMS since 2015. She is an Early Childhood teacher in the Dragonflies classroom. Ms. Bohn holds a BS in Child Development and has previous years of experience as a traditional preschool Head Teacher. She completed her American Montessori Society 3-6 training summer 2015. Ms. Beaudette joined CMS in 2018. She is a co-teacher in the Dragonflies classroom with Ms. Bohn. She holds a BS in Child and Family Development from SDSU, is AMS Montessori trained and has experience as an Early Childhood teacher. Both her children are in the Early Childhood program at CMS. Ms. Pons joined CMS in 2018. She is the classroom assistant in the Dragonflies classroom. She recently graduated from San Diego State University with a BA in Liberal Studies, emphasis in elementary education. Ms. Anderson has worked at Country Montessori School since 2008. She is a Lower Elementary teacher in the Eagle’s classroom as well as the Elementary Reading teacher. Ms. Anderson holds an AMS Lower Elementary Montessori Teaching Credential, Early Childhood(Preschool and Kindergarten) Montessori Teaching Credential and a BS in Human Services. Ms. Anderson’s son attended the Upper Elementary at CMS. Ms. Dukes has worked for CMS since 2006. She is a teacher in the Lower Elementary – Eagles classroom, Ms. Dukes hold an AMS Early Childhood (Preschool and Kindergarten) Teaching Credential, AA in Child Development, BA in Spanish and a CA Single Subject Credential and age 6-7 Elementary Montessori teaching. Her oldest son went through the entire program and her youngest son still attends CMS. Ms. Odenwalder has worked at Country Montessori School since 2000. She is a Lower Elementary teacher in the Eagle’s classroom. Ms.Odenwalder holds an AMS Lower Elementary Montessori Teaching Credential and a BA in Liberal Studies. She is excited to see and experience CMS from the eyes of a parent as her son and daughter are currently as students. Ms. Thomas has worked for CMS since 2006. She is the Lower Elementary Assistant and works in the Eagle’s classroom. Ms. Thomas is also qualified to work in the Early Childhood (Preschool and Kindergarten) classrooms as she has her Early Childhood units. Ms. Thomas has 3 grandchildren and enjoys working in the Montessori environment. Ms. Ruttenburg joined our team in 2018. She is a Lower Elementary teacher in the Eagle’s classroom. Ms. Ruttenburg holds a Multiple Subject Teaching Credential with an authorization to teach science, as well as a BS in Biological Sciences. She is excited to be part of our team here at CMS. Dr. Rader has worked at CMS since 2010.. She is an Upper Elementary teacher in the Owl’s classroom. Dr. Rader holds a Lower Elementary Montessori Teaching Credential, Upper Elementary Montessori Teaching Credential, and BA in Biology and a PhD in Biomedical Sciences. Her two children have been educated in the school and her husband has been very involved since 2004. Ms. Rehkopf has worked at CMS since 1991. She is an Upper Elementary teacher in the Owl’s classroom. Ms. Rehkopf holds an AMS Lower Elementary Montessori Teaching Credential, AMS Upper Elementary Montessori Teaching Credential, AMI Primary Montessori Teaching Credential and a BS in Child Development. Both of her sons attended CMS. Ms. Carrete joined CMS in 2017 as the Spanish teacher. She was brought up in Tijuana, Mexico. She has a Masters Degree in Spanish and previously taught Spanish in Austin and San Francisco. Mr. Rehkopf has worked at CMS since 2011. He is the Elementary Art Instructor and works in the Upper Elementary classroom as the assistant. Mr. Rehkopf holds a BA in Fine Arts and has previous experience working at other Art schools. He teaches the CMS After School Chess class. He is a CMS alum. Ms. Rendon has worked for CMS since 2007. She is the Elementary and Kindergarten Physical Education, Elementary Computer Instructor and Childcare Coordinator. Mr. Short has worked at CMS since 2009. He is the Music Instructor for all levels. Mr. Short majored in Music at Duquesne University. Mr. Short produces, directs and choreographs the Annual Spring Fling. Ms.Yee has worked at Country Montessori School since 1998. She is the Childcare Assistant for Early Childhood children. Ms.Yee holds a BS in Criminal Justice Administration.